Today Denon DJ have officially announced the latest addition to their range, the SC3900, which is a new digital turntable and media controller with 9-inch active platter. Utilising a completely redesigned High-Torque Direct Drive Motor that exactly mirrors the feel of vinyl, the SC3900 offers the choice of CD, USB, Software, or even a networked Media Server as your source of tracks. 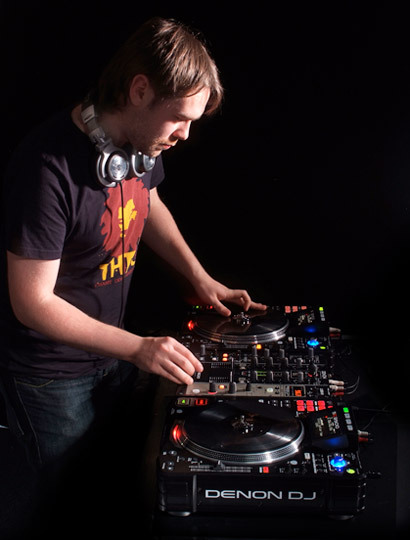 Three times World DMC Champion and SC3900 endorsee DJ Switch had this to say about the new player, “The 9-inch platter makes scratch moves more nimble by being that little bit smaller, but maintains the perfect amount of space to grip it, scratching & mixing tracks feels no different than using vinyl.” Denon DJ attribute years of development with top international DJs to the perfection of the SC3900’s platter that allows digital media to be manipulated without losing that unique vinyl feel (the surface of the platter is actually a 9” vinyl disc!) This allows Scratch champions like DJ Switch to push their performances even further than possible with a vinyl ‘record’, “Doing DMC-style hard-core scratch sets are made so much easier without worrying about needles & skipping records” commented DJ Switch. The SC3900 also comes complete with the brand new ‘Engine’ music management software that has been designed with players such as the SC3900 in mind, allowing the ultimate in DJ set preparation, playback and control. Prepare the perfect set on a computer at home, then export it to a USB stick or Hard Disk Drive and have everything you need for your DJ set in a device small enough to fit in your pocket. Then, when it’s time to perform simply plug in and play, and even share the USB drive’s files with up to three other compatible players over a network. Once your networked players are sharing the music from one USB device, it’s easy to manage, cue, and play to any player via an iPad with the new Engine iPad app (requires downloading from the App Store). Engine for iPad seamlessly controls your set wirelessly through a network – all via its large full-colour touchscreen. And there is no need to worry about computer or connection problems; should the iPad become disconnected, your music is still securely connected to the player via USB, leaving playback, and your audience’s attention, uninterrupted. Additionally, playback of files on your PC or MAC is possible with the included ‘Engine’ music management software which doesn’t even require a high specification computer to work quickly and efficiently. With file searching speeds that leaves most other software standing still, Engine’s power is achieved by leaving the intensive audio processing at the player so the software is free to run before, or during your performance, utilizing the full capabilities of your computer. Hybrid MIDI mode has been a flexible feature and a great benefit to previous Denon DJ devices and it’s no different with the SC3900. Complete with the ability to be MIDI mapped to work with a wide variety of applications, the SC3900 can control DJ software utilizing DVS, without using time code CDs, making the SC3900 the most complete and flexible player Denon DJ have ever produced. For DJs who can’t, or don’t want to, choose between software, vinyl, CD, and digital media as well as those who want the ability to use one controller that doesn’t rely on a high-spec computer to perform, the Denon DJ SC3900 is the player that you have been waiting for!